information on chip clearance for various sized cutters. cutters, as explained in the next paragraph. clearance angle. 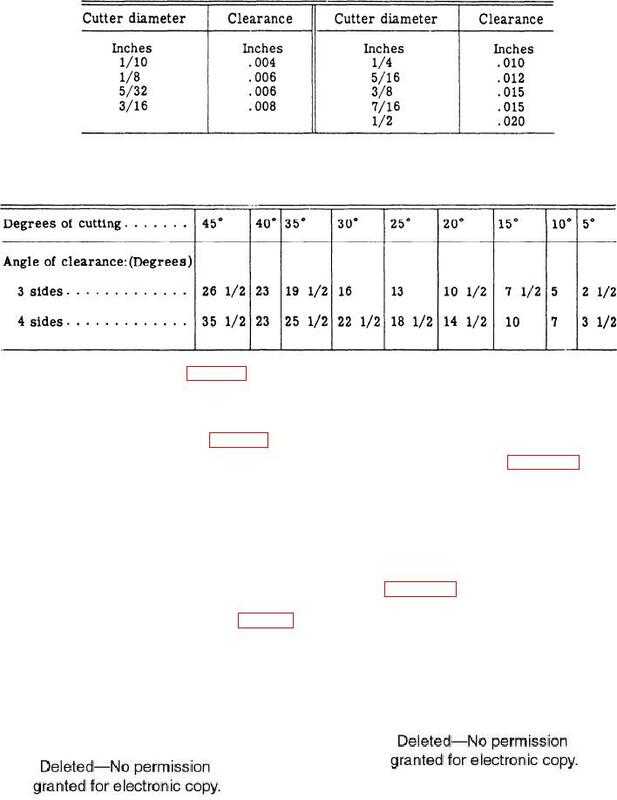 Clearance angles are listed in table 9-5. Figure 9-28.--Copy dial holder and plate.